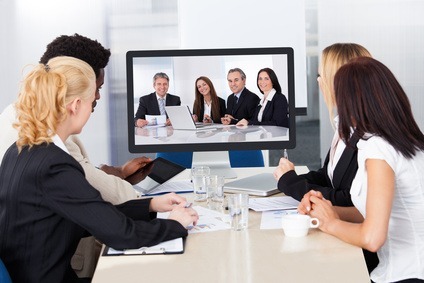 On December 19, 2013, the National Contract Management Association (NCMA) will bring together experts to cover small business topics in a four-hour virtual conference. I am co-presenting with my wife Louisa Jaffe, CEO of TAPE, LLC, and we invite you to join us. Our presentation is called: Not Small Anymore—Beyond the 8(a) and Small Business Size Standards. What are the steps to be taken now to prepare for the time when the competition from other small businesses and open competition becomes more challenging? How do you keep and develop new customers during this crucial time? Because this is such a unique format, I recently interviewed Michael Fischetti, J.D. CPCM, Fellow, Executive Director, National Contract Management Association, about what attendees can expect from this virtual event. 1. What are you most excited about in presenting this event? The opportunity to help our small business community with an event tailored just for them. We’ve designed an online event that will provide regulatory and legislative guidance, review proposal evaluation models used by the government, look at audit preparation, and discuss open competition beyond the 8(a) status. 2. What advice do you have for people attending their first virtual conference? We recommend that attendees bring together their colleagues and participate as a team. We find that virtual training lends itself to a collaborative learning environment. After the session is over, many teams will hold wrap-up sessions to discuss lessons learned. After the seminar, everyone is on the same page and willing to work toward these new ideas. 3. The NCMA puts on many events, both live and virtual. What are some of the benefits of virtual events? Besides the obvious ease of signing up and becoming astute on the biggest issues in our community, NCMA is able to obtain just the right presenter for the goals of a particular event, since the available pool of experts increases in a virtual environment. For our attendees (and their employers), it’s being able to participate in training without having to leave the office. Since members can participate as a group, the lowered cost per person makes the format really reasonable. 4. What has been your experience with past virtual events? That our members like them and are motivated to attend a live event (e.g., the NCMA Government Contract Management Symposium or World Congress) next time to meet more of their peers, mentors, customers and clients in person. 5. What do you hear from NCMA members about the value of continuing education through attending events like this? That it can’t be beat in terms of cost and time efficiency for meeting their CPE requirements and again, encourages them to attend a local chapter or other “in-person” event, or at least read up and become more proficient in their profession. Thanks for sharing these insights, Michael!